The Cabinet Committee on Economic Affairs, chaired by Prime Minister Narendra Modi, has approved the launch of KUSUM with the objective of providing financial and water security to farmers, an official statement said.The government Tuesday approved the launch of the Kisan Urja Suraksha evam Utthaan Mahabhiyan (KUSUM) with a central aid of Rs 34,422 crore to provide financial and water security to farmers through harnessing solar energy capacities of 25.75 gigawatt (GW) by 2022. The proposed scheme consists of three components -- 10,000 megawatt (MW) of decentralised ground mounted grid connected renewable power plants (Component-A); installation of 17.50 lakh standalone solar powered agriculture pumps (Component-B); and solarisation of 10 lakh grid-connected solar powered agriculture pumps (Component-C), according to the statement. All three components combined, the scheme aims to add a solar capacity of 25,750 MW by 2022. The total central financial support provided under the scheme would be Rs 34,422 crore. Under Component-A, renewable power plants of capacity 500 kilowatt (KW) to 2 MW will be set up by individual farmers, cooperatives, panchayats, or farmer producer organisations (FPO) on their barren or cultivable lands. The power generated will be purchased by the distribution companies (discoms) at feed in tariffs determined by respective state electricity regulatory commissions (SERC). The scheme will open a stable and continuous source of income to the rural land owners. Performance-based incentives at Rs 0.40 per unit for five years will be be provided to discoms. Under Component-B, individual farmers will be supported in installing standalone solar pumps of capacity up to 7.5 horse power (HP). Solar PV capacity in kW equal to the pump capacity in HP is allowed under the scheme. 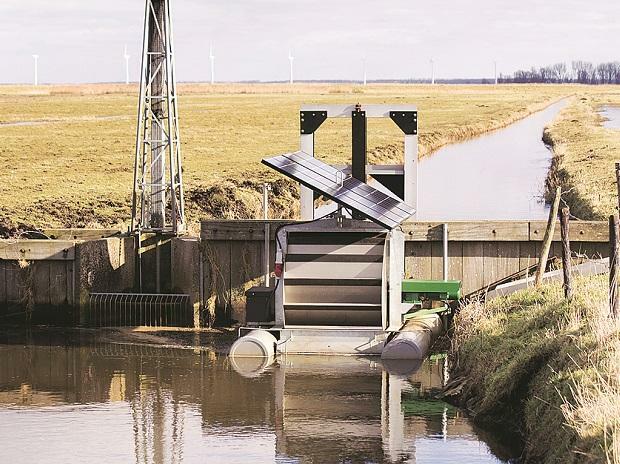 Under Component-C of the scheme, individual farmers will be supported to solarise pumps of capacity up to 7.5 HP. Solar PV capacity up to two times of pump capacity in kW is allowed under the scheme. The farmer will be able to use the generated energy to meet the irrigation needs and the excess available energy will be sold to discom. This will help to create an avenue for extra income to the farmers, and for the states to meet their renewable purchase obligation (RPO) targets. For both Component-B and Component-C, central financial assistance (CFA) of 30 per cent of the benchmark cost or the tender cost, whichever is lower, will be provided. The states will give a subsidy of 30 per cent; and the remaining 40 per cent will be provided by the farmer. Bank finance may be made available for meeting 30 per cent of the cost. The remaining 10 per cent will be provided by the farmer. Higher CFA of 50 per cent will be provided for northeastern states, Sikkim, Jammu & Kashmir, Himachal Pradesh, Uttarakhand, Lakshadweep and Andaman & Nicobar Islands. The scheme will have substantial environmental impact in terms of savings of CO2 emissions. All three components of the scheme combined together are likely to result in saving of about 27 million tonnes of CO2 emission per annum. Further, Component-B of the scheme on standalone solar pumps may result in saving of 1.2 billion litres of diesel per annum and associated savings in the foreign exchange due to reduction of import of crude oil.